Looking for a blood glucose monitor? Here’s our extensive guide to the products on the market today. dLife does not endorse any product mentioned here. Links to manufacturers’ websites are offered for information purposes only. The FreeStyle Freedom Lite Blood Glucose Monitoring System has a new ergonomic shape and large numeral display. There is no coding and allows for easy testing with the world’s smallest sample size. This meter uses only FreeStyle Lite test strips. The FreeStyle Lite Blood Glucose Monitoring System is a small and discreet system that offers key features such as no coding, the world’s smallest blood sample size, and a test strip port light. The FreeStyle Lite meter uses only FreeStyle Lite test strips. The Precision Xtra Blood Glucose and Ketone Monitoring System offers an intuitive setup and icon-driven menus. It was the first system on the market with the technology to test blood sugar and ketone with the same meter and test strips. The first and only touch screen meter that lets you log insulin doses and blood glucose results with just a few simple taps. The large touch screen makes learning to use the FreeStyle InsuLinx blood glucose monitoring system easy. The large screen is easy to read. Plus, for your convenience, you can view 3 logged entries at a time. The Premium Meter has extra data management features to help users understand their test results. The WaveSense KeyNote Blood Glucose Monitoring System is simple to use with many user-friendly features such as the large backlit display and ergonomic rubber grips and feet. At the push of a button, you can view your past results with the intuitive user interface. The Standard AgaMatrix Meter is one of the best values for people who are paying for supplies out of pocket. iBGStar is the first blood glucose monitoring system to connect directly to your iPhone or iPod touch. It was created for your on-the-go lifestyle so you can manage your diabetes information — anytime, anywhere. Other Special Features: Automatic shutoff 1 minute after last user action; Compatible with iPhone and iPod touch to store and manage your diabetes information, review trends, or share with your healthcare team. Agamatrix Presto Monitoring System has all the features of the market’s leading blood glucose meters. Battery Requirements: (2) CR2032, 3 volt, lithium batteries. The AgaMatrix Jazz Wireless 2 Bluetooth enabled blood glucose monitoring system delivers a new and innovative way to get connected with your numbers. Other Special Features: Automatically Syncs. meter uses Bluetooth® Smart to pair with compatible iOS and Android devices to send results to the AgaMatrix Diabetes Manager (the App). The Glucocard 01 Blood Glucose Monitoring System was designed with auto code technology; clinical data shows Glucocard 01 to be highly accurate. It features a large, easy-to-read display. The GLUCOCARD Expression Blood Glucose Monitoring System includes bilingual voice features for hearing test results. Oversized picture icons and large tactile buttons make this meter easy to use. Testing is more comfortable with small sample size and alternate site testing. Accurate and reliable test results are displayed in six seconds. The Glucocard Vital Blood Glucose Monitoring System is auto-coded with a display screen showing the time, date, and average test reading. The meter’s design has indicators for strip expiration date and hypoglycemia; an LCD backlit screen; large display digits; and pre- and post-meal averaging to differentiate glucose levels before and after meals. Fast and Accurate Blood Glucose testing in an easy to use meter. Other Special Features: Design features like a test strip that points toward the resident and backlit display are designed to make it easier for the healthcare professional to monitor a resident’s blood glucose level. The Assure Platinum Blood Glucose Monitoring System provides highly accurate testing. Other Special Features: The LCD backlit display was developed to increase visibility in low-light situations, while the test strip ejector was engineered for touch-free test strip disposal. Rubberized case design for secure handling. The Breeze2 Blood Glucose Monitoring System uses no coding technology and comes with a 10-test disc; just load the disc and you’re ready to test ten times. The Contour Blood Glucose Monitoring System uses no coding technology and allows for personalized settings (basic and advanced) for more control. 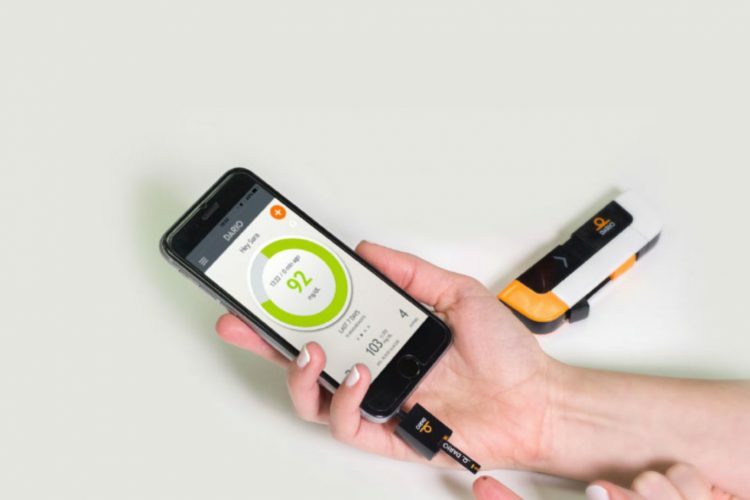 The Contour USB Blood Glucose Monitoring System is the first blood glucose meter with plug and play diabetes management software and has a bright, color OLED display that connects you to a new level of diabetes management. Delivers high accuracy while being an easy to use meter with simple on screen messages. Wirelessly transmits your blood glucose test results to a compatible pump. The Rightest GM100 Blood Glucose Monitoring System has a large, easy-to-read LCD display and one easy-to-use button. The meter’s ergonomic design makes it easy to handle, especially for those who suffer from arthritis, obesity, lost movement from stroke, or any other paralysis. The Rightest GM300 Blood Glucose Monitoring System has a large, easy-to-read LCD display and one easy-to-use button. It uses Noble Metal Technology that offers very accurate results, especially when blood glucose levels fall below 75 and over 200. The GM550 Blood Glucose Monitoring System is Bionime’s high-end model with many advanced functions. Its patent pending auto coding and Nobel Metal Electrode Strip makes this accurate meter easy to use. This meter offers auto coding, large, easy to read display, a tiny blood sample size and turns off automatically. The GM720 blood glucose monitoring system provides intelligent use, and its ultra compact design is more convenient to carry. The GM700s Series offer high accuracy, precision, and convenience. Its light-weight appearance and simple operation way, make home blood glucose testing easier and faster. Solus V2 brings to market break through capabilities ranging from the largest display to fully audible technology… Solo V2 has a feature for everything. The Prodigy Autocode Blood Glucose Monitoring System is the only Spanish-French-Arabic-English speaking, no-coding blood glucose monitor on the market. It features one button for easy navigation. The Prodigy Pocket Blood Glucose Monitoring System is similar to the Prodigy Autocode, but is small enough to fit in your pocket. It has one button for easy navigation and is available in five colors. The Prodigy Voice Blood Glucose Monitoring System is audible, no-coding, and designed for the blind and low vision. It was awarded the Access Plus Award from the National Federation of the Blind and the American Foundation for the Blind. The MyGlucoHealth Wireless Blood Glucose Monitoring System is the world’s first USB and Bluetooth meter. Test results are automatically sent to myglucohealth, where you can track and chart test results and other related data, send information to your physician, and schedule appointments. No-coding convenience and reliability in a feature-rich, easy-to-use meter. The FIFTY 50 Meter 2.0 makes testing quick and easy with results you can trust. Half of the profits fund diabetes research. Other Special Features: Large easy-to-read display, pre-/post-meal flagging and averaging, three user configurable alarms. The Test N Go is small enough to slip into any pocket or purse. It’s compact yet stylish design, will fit into your active lifestyle. The FOR A G30 offers an Easy-Slide Strip Injector, tiny blood sample and less pain by alternate site testing. Other Special Features: About the size of a quarter, plugs into headphone jack of apple products. Lights up when meter is powered on and ready to test. You can email or SMS text message your results from the app directly to doctors or healthcare providers. Other Special Features: includes a speaking feature that provides audible test results for diabetic users. The OneTouch Ultra2 Blood Glucose Monitoring System features before- and after-meal results and averages with a 500-test memory. The OneTouch UltraMini Blood Glucose Monitoring System features a large screen and 3-step testing. Data Capabilities: 1000 records in its on-board memory. Personal web portal. Other Special Features: Users can track how they are feeling, what they ate and how many carbs they consumed. Automatically records steps and calories burnt. The Nova Max Plus Blood Glucose Monitoring System automatically converts itself into a Ketone meter by inserting the Nova Max Plus Ketone strip. 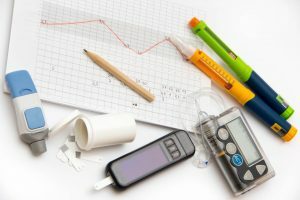 The Nova Max Link Blood Glucose Monitoring System automatically sends new blood glucose test results to the Paradigm Insulin Pump for use by the Bolus Wizard Calculator. 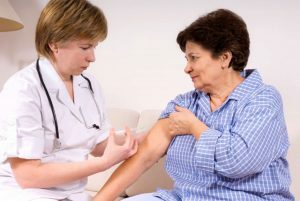 This calculates the amount of insulin needed to reach target blood glucose levels. The EasyMaxN Blood Glucose Monitoring System is a no coding system that features a two-button design. Oak Tree International Holdings lnc. The EasyMaxV Blood Glucose Monitoring System is a no coding system that features bilingual speaking instruction and a large, LCD display design. Other Special Features: ACCU-CHEK Softclix lancing device—uses the same technology as the ACCU-CHEK FastClix device, which has been proven least painful. The Accu-Chek Compact Plus Blood Glucose Monitoring System features a large, bright, glow-in-the-dark display with no-coding. Data Capabilities: Your meter displays 7-, 14-, 21-, 28-, 60- and 90-day averages which you can access from the meter memory. Your meter stores the 450 most recent blood glucose test results with date and time in its memory. Other Special Features: When a talking symbol [insert head symbol] is on the meter, it means that the meter provides speaking function. It “speaks” step by step to lead you to test your blood glucose in order. Other Special Features: Advanced bilingual (English/ Spanish) talking function embedded that guides users through each step with repeat function and volume control. The TRUE2Go Blood Glucose Monitoring System is the world’s smallest monitor that attaches to the top of a vial of Truetest strips. (Walgreens sells a private label version of TRUE2Go). The TRUEbalance Blood Glucose Monitoring System is a no-coding system that expedites the testing procedure when a new vial of test strips is used. The TRUEresult Blood Glucose Monitoring System is one of the more economical choices available on the market featuring no-coding, ketone test reminders, and a strip release button. This meter comes with a lifetime meter warranty. (Walgreens sells a private label version of TRUEresult). The TRUEtrack Blood Glucose Monitoring System features data uploading capability and alternate site testing. This meter comes with a lifetime meter warranty. (Walgreens sells a private label version of TRUEtrack). The Acura Blood Glucose Monitoring System automatically draws blood into the test strip and automatically sets the code. The Control Blood Glucose Monitoring System requires user coding and comes with a lifetime warranty. The EasyGluco Blood Glucose Monitoring System automatically draws blood into the test strip and shows if there’s enough blood for an accurate reading. The Infinity Blood Glucose Monitoring System reads the test strip and automatically sets the code. The Maxima Blood Glucose Monitoring System features Biosensor Technology and comes with a lifetime free replacement warranty. Other Special Features: The EasyGluco® G2 automatically draws blood into the test strip, and shows you if there’s enough blood for an accurate and reliable reading. The ReliOn Micro Blood Glucose Monitoring System is one of the smallest meters on the market. Despite its compact size, this meter offers all of the features expected from a full-function meter. The ReliOn Ultima Blood Glucose Monitoring System is one of the most inexpensive meters on the market today, costing an average of $9. ReliOn is owned by Walmart and offered as a super low cost option for its customers. The ReliOn Confirm Blood Glucose Monitoring System is the newest blood glucose system from ReliOn. It includes a newly designed lancing device that features five depth settings for less painful testing.